1. Open your internet browser. In the type bar enter the following address – myjgid.com/yourURL – yourURL being the unique name of your company’s JGID account. 2. 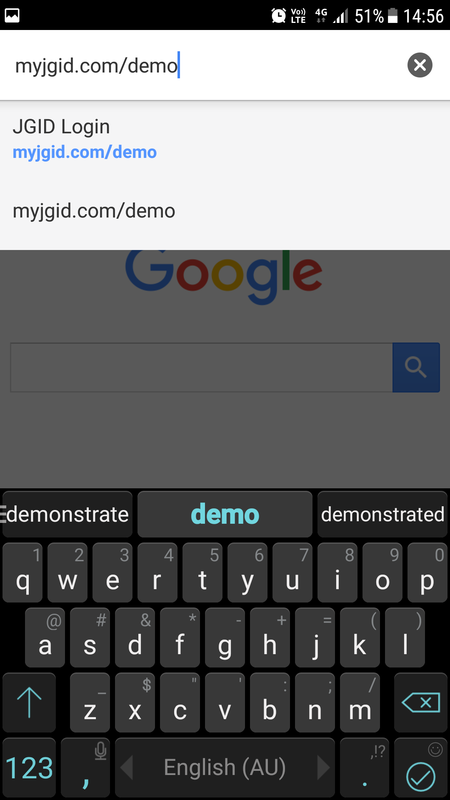 Enter your username and password and click on Sign in. 3. 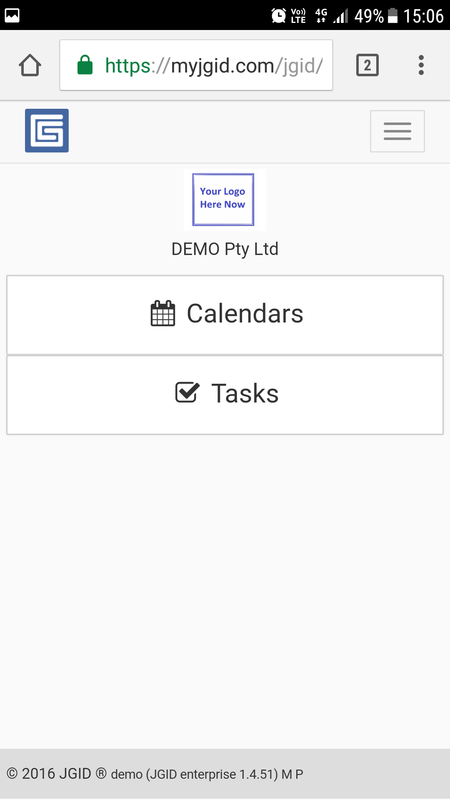 Before pressing the Sign in button, you can opt to select the “Stay signed in” option if you are the owner of the device and you are not planning to share its use with a colleague, but bear in mind that after 30 minutes of inactivity, the system will automatically log you out and you will need to sign in again. 4. 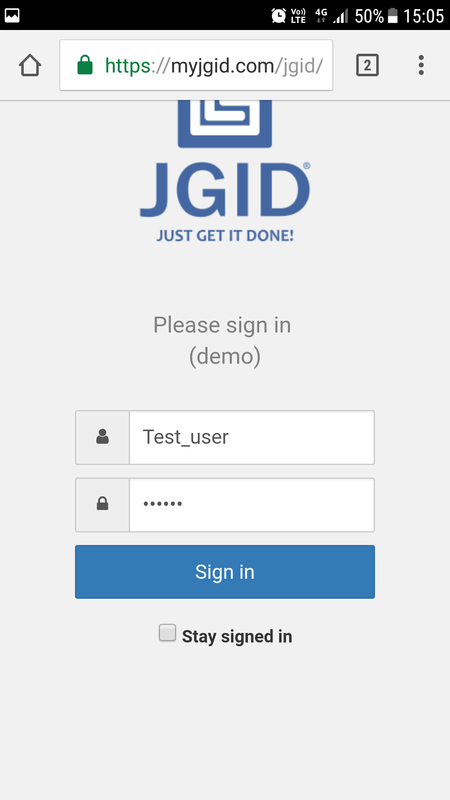 Once you are logged in, you are granted access to your mobile JGID dashboard.